There's a tactile gratification that comes from just holding a 16-ounce can of beer in your hand after a long day. It's cold, dripping with perspiration and just heavy enough to let you know that there's more beer in there than your typical aluminum vessel. The tall can (or "tallboy," as the less gender-sensitive folks might call it) isn't just a beer, it's a beverage unto itself. The beer inside, however, is not fancy. Occasionally, you'll see the craft tall can, such as Orlison Brewing Co.'s excellent lagers available in stores by the pint, but by and large, the tall can delivers your beer cheaply and conveniently, without an eye necessarily on quality. Our local bars know there's a desire for this specially sized beer, so don't fret. "I don't know what it is, but I love tall cans. With [a 12-ouncer] I'm like, 'Where the rest of my beer?'" says Kitty Kane, owner of nYne Bar & Bistro in downtown Spokane, which carries the holy triumvirate of PBR, Olympia and Rainier (as well as Guinness) in 16-ouncers. In the hardworking neighborhood between West Central, the Spokane County Courthouse and Kendall Yards, you can find a PBR tall can stacked inconspicuously between other bottles and cans at The Backyard Public House, where it's just $2.50 at any hour. You can also get either PBR or Rainier at Geno's near the Gonzaga campus. While the PBR can is the standard-bearer, our search through the bar menus of the Inland Northwest also found places serving up Rolling Rock, Busch and other lesser-than-marquee brands, so choices abound. You won't look fancy holding one of these in your hands, but that hasn't stopped spots with high-end culinary reputations from keeping cans on stock. 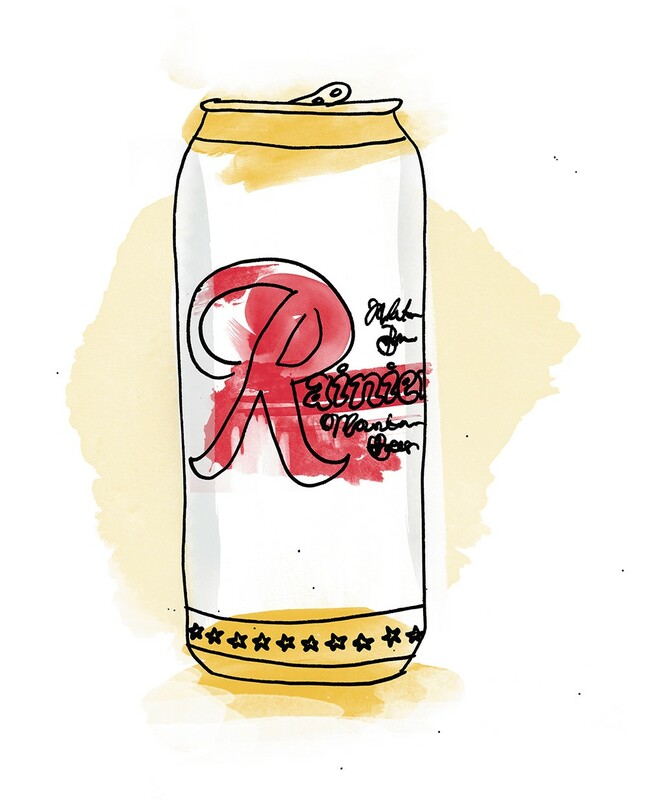 You can order Rainier to accompany fabulous food at places like Ruins, Casper Fry and Durkin's Liquor Bar without having to apologize to anyone.